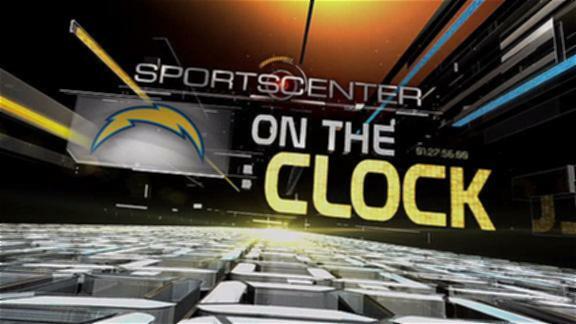 Welcome ladies and gentlemen to the 2011 San Diego Chargers official war room. AJ Smith. 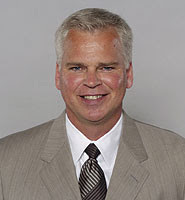 GM of the Chargers since 2003. Norv Turner, Jimmy Raye, and Randy Mueller. Now that you know the people and history, let us look at the 2011 draft. When: April 28-30. First round at 5pm PST! Regarding a contest: I'm sorry to say I will not be organizing it this year. 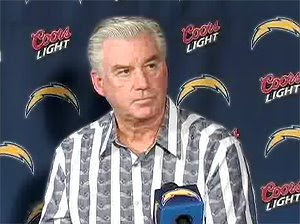 But please submit mocks and who you think the Chargers are looking at! That is a ton of fun to look back on and see how right/wrong we were. But if you guys want a good contest, a funny lockout pun for the draft was something I wanted in the title, but am too unimaginative to come up with. I will be posting some of my thoughts on the first few rounds, but as I have said, I have a much smaller enthusiasm for the overall draft this year. I'm still excited like crazy for the Chargers picks, but in term of other teams I have little to no idea who they are looking at, the rumors, etc. But I will still watch and enjoy the draft regardless like I'm sure all of you will! And hopefully this class will be the injection of talent and youth the team needs to win the AFC West next year and advance in the playoffs! --This is our forum's official draft thread. Any and all members are allowed, even encouraged, to create threads discussing a particular pick and how he fits for us. 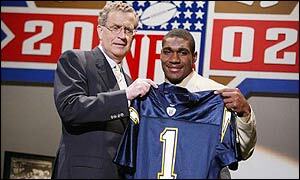 But this is the catch-all thread for any general Chargers/NFL draft talk. Please do not create threads to discuss another team's pick, instead please use this thread. Between myself (The LBC) and AntonioGates, we will keep this page updated with our picks and trades in as close to real time as possible. So if you miss a couple rounds or pick here or there, you can consult this post. --Bookmark the Chargers Forum and whatever other forums you might want to visit during the draft. FootballsFuture as a whole is likely to be very busy Thursday and Friday and I've found it's quicker to just add a few forums to my favorites list for quick and easy access. --You might want to consider switching the Forum Style to "subSilver" during the draft. The forums will load A LOT faster using that forum style rather than the standard "FF" style. To do this go to your Profile, scroll down to "Preferences" and select "subSilver" from the drop down list on the "Board Style." --Please remember that all Forum Rules will be strictly enforced during the draft. Members will not be afforded any more leeway during the draft than they would at any other time. If you're unhappy about a pick or a trade you are free to express your displeasure so long as you do so within the bounds of the forum rules. -- One of the three of us will be here during all 7 rounds of the draft and will hang out after each round to discuss the day's events and moderate the forum (I have a poker game during Rounds 2 and 3, but BS should be online). If you have a problem with another member, please PM one of us. The Webmaster and the Global Moderators will also be here and will be checking in on every forum. You do not want to get in trouble and end up being suspended during the draft, so please follow the rules. Ignore all trolling comments as we the mods will handle them as quickly as possible. --Have fun! 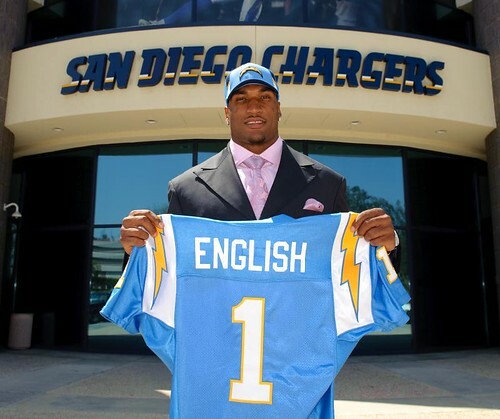 The draft is Christmas for football fans and it will be especially exciting for Chargers fans this year with our handful of early picks and given that this is typically the biggest influx of new talent to our team, given our generally minor-player status in free agency! Awesome thread as always, unfortunately I haven't been as heavily invested in the draft as the past. I did happen to catch a few words here and there and have come to the conclusion that Smith's defense defense defense mantra is a ploy. Offense early. especially if what Mort said happens and free agency and trades open up the day of the draft.... man that would be a crazy scenario. Men, may this be the draft that pushes us over the hump. 5 picks in three rounds? A good corner, DE, OLB, WR would be great. Let's hope for Cam Jordan. Yeah, ideally we go DE/OLB/WR/CB/OT with our top 5 picks. Maybe squeeze a 3rd running back or backup center into the late 3rd round. I also think ILB should be considered, but that greatly depends on how the staff views Siler and Butler. Cam Jordan or JJ Watt would be very un-AJ like, he likes the playmakers with his top picks. However, that is the route I think we all expect him to go. I look at our roster right now, and if Weddle and Burnett are kept the only real glaring hole is at DE. I was reading the thread from last year, and it mentioned correctly we were looking to trade up. That made me think of who usually leaks the info: the Chargers FO looking for a trade partner (although I read they had a deal with the Dolphins a few days prior) or the Dolphins trying to generate more interest in the pick? Just some random little thing I was wondering about. Is it bad that I've been, on gut instinct, prepping LOL WUT? type graphics in anticipation of needing them in response to at least one AJ trade or pick? I don't think I've ever gone into a draft without any knowledge like this year. What are the positions we're looking at, are there any prospects we might favorize? Who are the "it"-prospects? Yeah, the lockout really put a dent in my enthusiasm for the draft. Plus I wasn't able to watch as much college football last season as I would have liked my draft knowledge is pretty minimal this year. In terms of positions, I think we are all expecting our front 7 to be addressed with two or three early picks, then wide receiver, corner, and an offensive tackle are next priorities. But anything can happen since we don't know how free agency will play out. If the team feels like they can't keep Weddle, then they may take a safety early since they would only have Sanders and Gregory. I don't think there really are any. It seems like it's more of a "best this year" thing all over. I would say Patrick Peterson and to a lesser extent Prince Amukamara are the closest thing to "it"-prospects in this draft, but both will be gone inside of the Top 12, and CB's not so great of a need to us to merit moving up that far. Next as far as "it" guy go is likely Robert Quinn. Had he played this past season he'd likely be in consideration for the #1 overall - even with Carolina having a compliment of quality DE's already in their stable. Quinn has a ton of potential and all the physical traits you look for - except for perhaps elite quick twitch (his burst is definitely elite but he's been typically among the last on his college line to get off the snap). And then there's AJ Green (yes, most of this is for Germanbolt's info, since I know 99% of the rest of you know who AJ Green is). He doesn't have the elite measurables that a guy like Calvin Johnson or Larry Fitzgerald have, but he has Fitz's body control and Andre Johnson's hands. That alone with even above-average size/speed (which he does have) is enough to merit a Top 10 selection. I also think there is a strong possibility we could move up in the 2nd to grab a guy who falls, with this being such a deep draft, especially on the D side of the ball. Every indication coming out of New England is that they're not high enough on any of the 5-Techniques to merit trading up for them or taking one at #17. And the Pats usually don't smokescreen a whole lot (I'm pretty sure Belichick thinks it's pretty pointless for as time-consuming as it is). Unless Tampa trades up ahead of us, and even then I'd say that'd be for either Watt, Kerrigan, or Smith, I don't think we're going to have a hard time seeing one of those 5-Techs (Jordan or Watt) falling to us). Now the question remains whether AJ will see the writing on the wall... or whether Jordan's previous DUI arrest has Watt so high above CJ on AJ's board that he's willing to trade up to get specifically JJ.